In this Arabic educational video, Dr. Yasmin Kottait ( د. 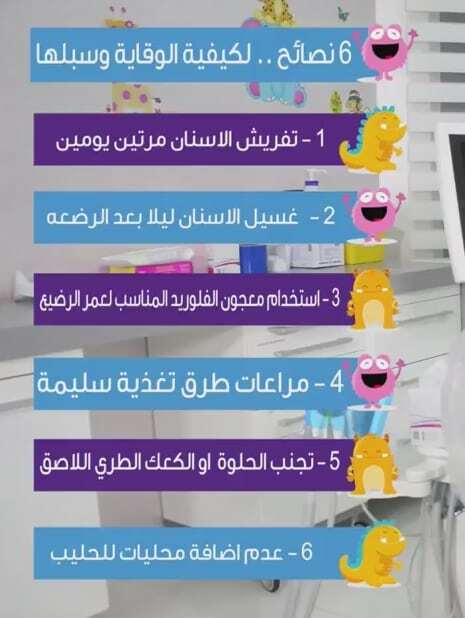 ياسمين قطيط ) a Specialist Pediatric Dentist, explains how to prevent early childhood caries related to baby bottle tooth decay. Brush regularly the teeth of the baby twice a day. Brush the teeth after baby bottle drinking at night. Use the proper toothpaste for the proper Age. Avoid sticky and/or sweet food. Avoid adding sweeteners to the baby milk.